WILLEMSTAD – This morning the National Investigation Team conducted three raids in connection with the bribery case of the MAN MP Yeal Plet. 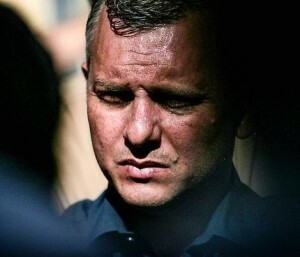 The raids took place at the house of former Prime Minister and current Member of Parliament for MFK, Gerrit Schotte and the house of former Minister of Traffic, Transport and Spatial Planning Charles Cooper. Plet filed a complaint about attempted bribery on February 22 this year. According to Plet, he was approached by an intermediary to resign from the MAN, take his parliamentary seat and become an independent MP in exchange for money. The Public Prosecution confirmed that these three raids are taking place now.